Executive Chef on a yacht is a professional cook and manager whose experience is formed in private companies during permanent or temporary contracts. The executive chef is responsible for training the chef, management of the galley staff, management of the galley, its maintenance in good order, management of the inventory and products, implementation of safety and hygiene standards in the galley, cooking meals and food presentation. In addition, the Executive Chef manages the expense budget entrusted to him/her by his/her employer. This budget will be observed according to the number of guests, meals and dishes to be made while taking into account the cost of products depending on the location of the yacht. Executive Chef on a yacht is a person with great adaptability and flexibility. This job requires insistence on high standards and rigorousness appreciated by employers. 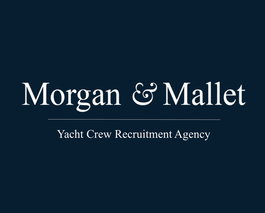 Morgan & Mallet Yacht Crew Recruitment Agency recruits candidates experienced in yachting, qualified as executive chef and with verifiable references from their former employers. During interviews with candidates, the recruiters will also discover the knowledge of the Executive Chef relating to supply options in various regions of the world. It is essential that the Executive Chef have a hands-on experience and understanding of logistics and specific aspects of selection of fresh and local food products. The Executive Chef should also have gastronomic knowledge of cuisines of the world. The employer may wish to have fish, organic or vegan dishes. His/her primary quality is his/her ability to adapt to the demands of his/her employer. An excellent Executive Chef is also a person with managerial skills and values, certain pedagogical qualities, who is able to listen and has stress management and team management skills. He is the head of the galley and the main liaison between the employer and the galley team selected by him/her.